The Chapper Maister, Cllr Barry Anderson invites you to an interesting evening that’s traditional and different. Prices include a delicious four course dinner, coffee and a wee dram of Scotch. There is a vegetarian option. The Piper pipes in the Haggis. This will be followed by the dramatic Burns’ address to the Haggis followed by a toast. A tradition that goes back to Roberts Burns’ death in 1796 and still continues to this day throughout the world. Don’t miss out on this fun evening with your friends at a table of eight. Headingley Golf Club is Leeds’ Oldest Golf Club founded in 1892 and is set on the edge of the beautiful village of Adel five miles from the centre of Leeds. It is a perfect location for this event. Dress Code – Dress to impress. Highland dress, Black tie or lounge suit with bow tie. Long or Cocktail dress. Early bird prices if booked before close of play by 18th January 2019. 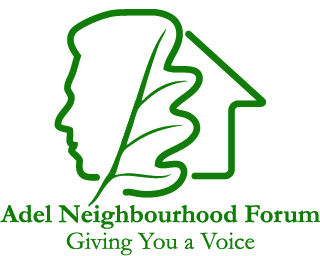 This event is in support of The Adel Neighbourhood Forum.